Big Bend is a true wonder of Texas and one of my favorite national parks. If you've never been there and you live in Texas, this affordable weekend getaway is a must. 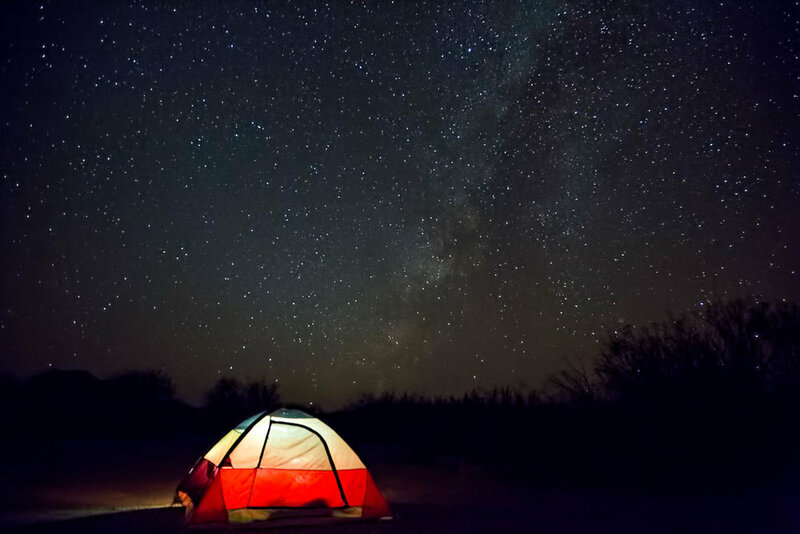 Camping under the stars is the way to do it, although more premiere lodging options exist. My love affair with Big Bend started a little over two years ago when I visited for the first time. I found myself asking, "Am I even in Texas anymore?" Another aspect I adore about Big Bend is the phenomenal stargazing. The national park is one of the best places in the USA to see the Milky Way. In fact, the lack of human population here, including visible lighting, contributes to the area's low light pollution — the lowest of any national park in the lower 48 states. Aside from the mesmerizing stars, there are many activities to occupy your time during your trip to Big Bend. The vast area is a landscape lover's paradise. But you've got to hike to see some of the most astounding scenes. 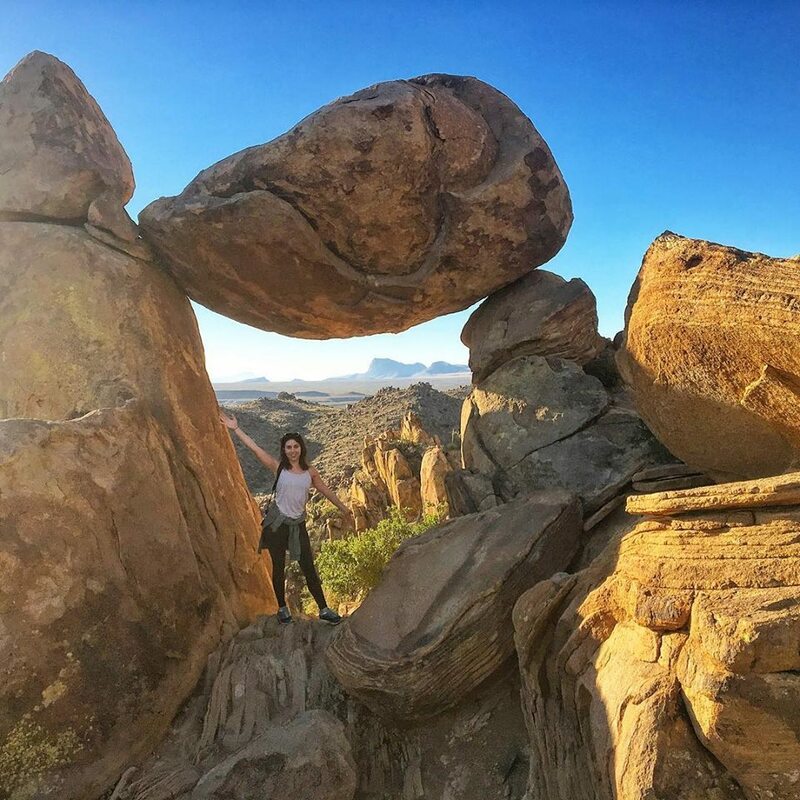 While there are some roadside stops and scenic drives, read on to learn about some of the best hikes and other awesome activities to partake in on your next adventure to Big Bend National Park. Before you embark on your journey out West, be sure to remember these things. Assuming you're camping (if not, there's also motel to luxurious lodging), there are two Big Bend campgrounds you can book online in advance — Chisos Basin Campground and Rio Grande Village ($14 reservation). The Chisos Basin Campground tends to book up faster than the Rio Grande Village. The drive is about 45 minutes between each village, and each village is also close to some awesome attractions (Chisos: Lost Mine Trail, South Rim, Emory Peak, Santa Elena Canyon; Rio Grande: Hot Springs, Boquillas Canyon, Old Ore Rd, Ernst Tinaja Trail). 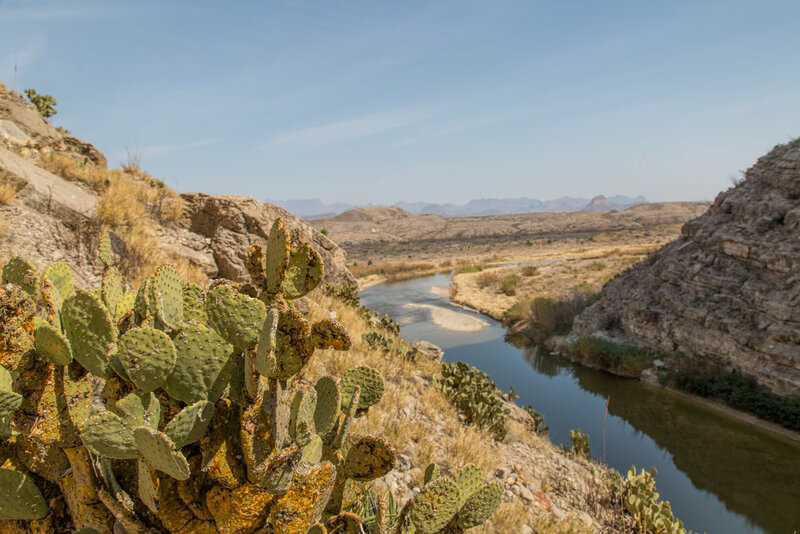 There's also the option to stay in the nearby town of Terlingua, literally just minutes outside of Big Bend's West entrance (closest to Santa Elena Canyon and Cottonwood Campgrounds). Primitive camping at Nugent Mountain...a site for sore eyes. Backcountry/primitive camping is also available to book. I prefer primitive camping because you are not close to any other campers — it provides more solidarity and privacy from all the RVs. Permits for primitive camping have to be obtained in person. You can reserve your spot at any ranger station in Big Bend. The ranger offices open at 8:30 a.m., so getting there right when they open will likely ensure you get a camping spot before they fill up (and they will most likely fill up on the weekends). Most spots require a four-wheel drive to get to, however, I've slowly taken my Toyota Camry down a few off-road sites, like Nugent Mountain and Grapevine Hills Trail. Primitive camping costs $12 to book for a weekend. Wanter canister/bottle and 1-3 gallons of water. There are filling stations at the Chisos Basin Lodges, or trail entrance. There's also gallons of water available for purchase, although they will be more expensive at the park. Swimsuit + Towel + Flip Flops - Bring a swimsuit in case you want to visit the Big Bend hot springs or take a dip in the Rio Grande. These items will also be beneficial for showering later on. Shower essentials - For $2 in quarters, you can take a 5-minute warm shower at the Rio Grande Village Campground facilities. It's quite worth it to rid the dusty desert feeling. Alternatively, it's safe to take a dip in the Rio Grande River (there's a good entry spot near Boquillas Canyon Trail) or wash off in the nearby Boquillas Hot Springs. Cell phone power bank - While out in Big Bend you won't have much access to electricity (unless you're lodging). Battery drains quicker out there, so you might want to put your phone on Airplane mode as needed, especially when hiking. An external battery will be the juice you need when your phone is on E.
Camera gear. Smartphones will only get you so far out here in terms of capturing the beauty of Big Bend. You might consider bringing a tripod to capture the stars at night. HDR photography and landscapes go hand-in-hand. It's also not a bad idea to pack that zoom lens as wildlife is abundant. Tunes. From Austin, the commute to the Big Bend entrance is six to seven hours, and then another hour to reach your campsite. Be sure to pre-plan some in-car entertainment, like music to listen to on the ride there (or burn some CDs). Also, wi-fi becomes limited, so be sure to pre-download any tunes you want to listen to from Spotify. You might also opt to play some comedy or audio books. Sleeping Mask (eye mask). 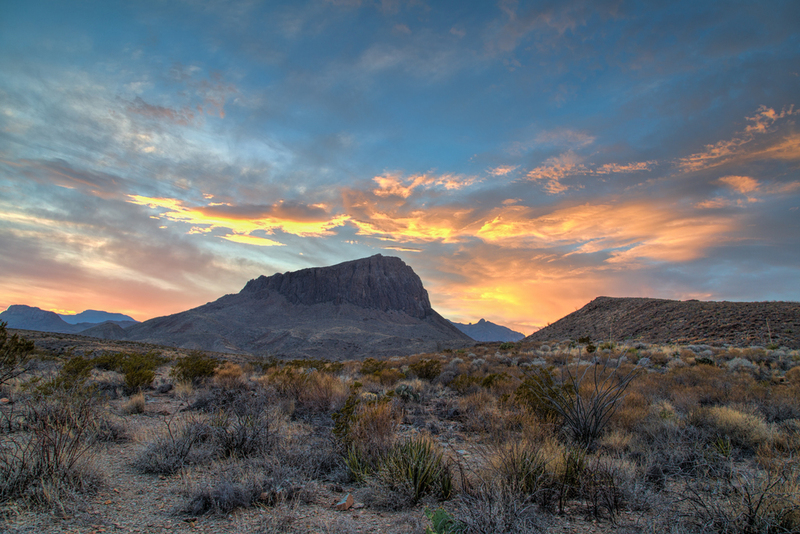 Big Bend is known for being one of the best places in the world to view stars, meaning it can get bright at night. If it's a full moon, you'll definitely need a sleeping mask to block out the light so you can get some Zzzz's. Even during a new moon, the stars are very bright unless it's a cloudy night. Sleeping aids. In case you have trouble sleeping, it might be beneficial to bring some sleeping aids, whether you prefer melatonin, Ibuprofen, muscle relaxers, or some other helpful sleep aid. It's not a bad idea to bring earplugs either to block out the howling coyotes or rowdy campers next door. Warm clothes. Unless it's summertime, nights in Big Bend get pretty cold. Also when hiking at higher elevations, the wind can be nippy. Pack some layers and warm socks just in case. On the contrary, also bring shorts and a sleeveless top as the weather can fluctuate. I was just there this November and it got up to a sweltering 90 degrees one day and the next day it was cold again. BONUS tip - Pre-download the map of Big Bend on Google Maps before you go. This will make it easier to navigate around when wi-fi is limited and won't drain your data (of course you can go old school and use a paper map as well). BONUS-BONUS tip - When you get to the town of Fort. Stockton, be sure to fill your tank up with gas. There's one gas station in Big Bend and it's notably more expensive per gallon. These are the absolute best hikes I've done in Big Bend National Park (in no particular order). If you stay in Rio Grande Village, the Big Bend Hot Springs are close by (about an hour or more away from Chisos Basin campgrounds). These geothermal processes get up to around 105° F.
Get there bright and early and you'll beat the crowds. See how clear that water is? Unstirred sediment due to nobody being there, as well as a low river. The warm hot springs overlook the Rio Grande River, just a river's crossing from Mexico. It's a great way to relax the muscles after a long hike. Be sure to bring suitable shoes as it's about a 0.5-mile hike from where you park to get here. Located closer to the Chisos Basin campground, just outside of the small town of Terlingua, Santa Elena Canyon is a must for any first-time visitor. The canyon can be viewed from miles away...it's that ginormous. The hike through the canyon is just a short 0.7 miles to reach the final spectacular view of the interior canyon along the Rio Grande River. 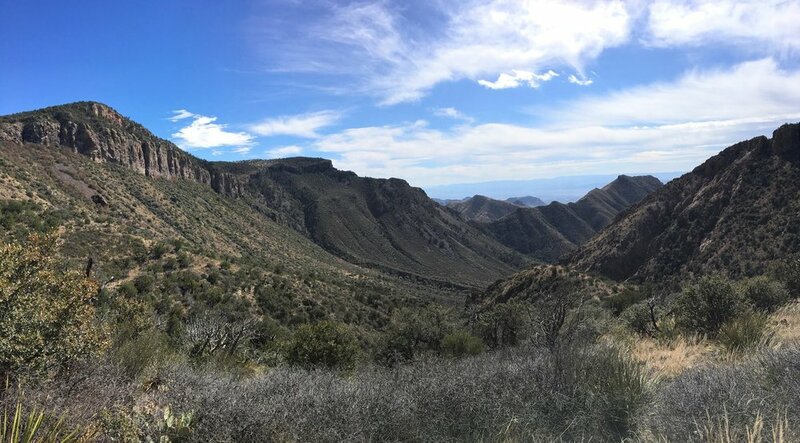 The Lost Mine trail provides some of the most spectacular views of Big Bend National Park. Starting in the Chisos Basin, the trail is comprised of a little over two miles of uphill switchbacks until you reach the finale. The views are worth the quad burn and booty blast. The hike totals around five miles all together. It's definitely not the easiest hike, but a good workout to say the least. After reaching the top, I felt like I was taken back to a Western movie where John Wayne was the main character. The geological formations are so unique...this hike is the most quintessential to Big Bend in my opinion. Starting at the Chisos Mountain Lodge parking lot, this hike offers a different view of Big Bend's awe-inspiring landscapes. While there is primitive camping along the trail, it's also doable in a day's hike. There are many lookouts along the way, with the "South Rim" being the main lookout. The views from this point are spectacular...you can even see Santa Elena Canyon (20 miles away) from the viewpoint in the picture above. Access to Emory Peak (still a hike on my bucket list) is possible from the South Rim, adding a steep 2-mile vertical climb to your hike. Grapevine Hills trail is accessible six miles down Grapevine Hills road (it's recommended to have a 4x4 drive but we got my Camry down it fine...just had to drive extra cautious). The trail is incredibly gorgeous...I'd say it's one of my favorite hikes I've done in Big Bend to date. The end of the hike gifts you with views of the famous Balancing Rock. We went around 7 a.m. and it wasn't too crowded, but I can imagine this being a more popular destination during the daytime...aka having to wait in line to get pics. Ernst Tinaja trail was a delightful surprise of a hike. The hike is very short, although the drive out there probably takes longer. I would advise taking a 4x4 to get here, as it's located about five miles down Old Ore Road (which is not very sedan-friendly). Ernst Tinaja offers a unique canyon of highly-convoluted rock layers that look nothing else like I've seen in Big Bend thus far. Pretty cool! I've only ventured to Big Big three times in my life so far. Therefore I have not been able to explore the entire region. Also, many hikes in Big Bend are only accessible via a 4x4 drive in which my small sedan wouldn't be able to reach. Here are other notable hikes I've heard about that you might consider. Marfa is a hipster's wonderland indeed. It's definitely for people who don't want to rough it..."glampers"...so to say. Overall, I thought Marfa was ok but I wouldn't travel all the way out West just to visit this town. It's a good stop though on your way to or from Big Bend. We visited the Chinati Foundation which was quite neat. The contemporary art museum includes a number of box shaped sculptures that you can walk through. Overall, when it comes to Western towns, I'm a bigger fan of Santa Fe and New Mexico in general, but Marfa is worth visiting once in your life to decide how much you love it. The Prada sign is so two-thousand and late! ;) Taking a picture in front of the Target sign is all the rage these days. While not quite in Marfa, the Target sign is a roadside attraction close to the town of Marathon. Look out for it on your drive into Big Bend. A pit stop at Balmorhea springs is a great decision upon leaving Big Bend. You'll get to wash off the desert dust in a refreshing gem of a spring-fed pool, plus that route will take you through the gorgeous Davis Mountains for a scenic drive (depending on if you're headed back East or not). Tiny fishies might nip at your skin but don't mind them. You'll be too "ahhh" from soaking your muscles in the nippy water and taking in the glistening sunshine. And that about wraps it up for this Big Bend adventure. Someday I'll go back. The Hot Springs, Lost Mine Trail and primitive camping at Nugent Mountain have been my absolute favorite activities while there. Next time, I hope to finally see Boquillas Canyon as I've heard the sunsets there are delightful. 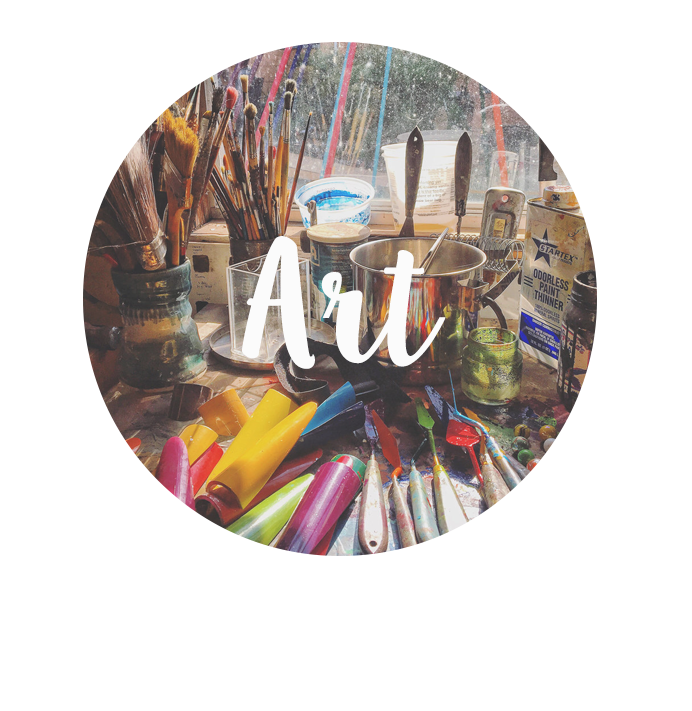 What are your favorite activities in Big Bend or along the way? 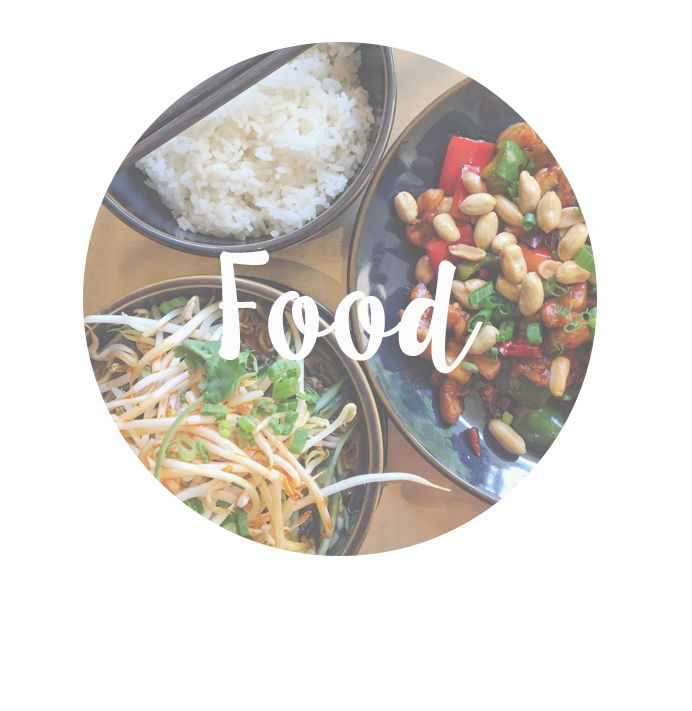 Did I leave anything out?